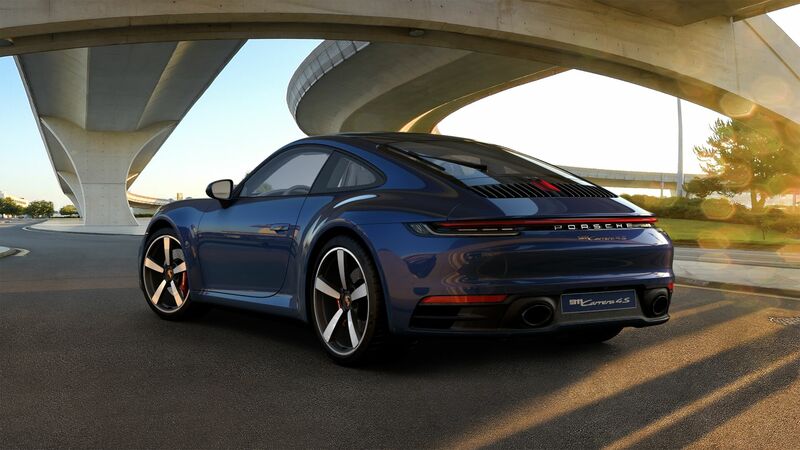 Posted: Sat Dec 01, 2018 11:41 am Post subject: 992 C4S Now delivered ! Just confirmed my order for the 992. Been told March delivery, possibly February. Apparently 2nd in the queue at the dealer. I've had a deposit down for a few months. I was given an ok part ex on the 991.2. So what’s the full spec ? You’ll get the car in March, based on info on UK orders but I would assume you would want it as a 19 reg car. Any other options from the endless list you were tempted with ? I’m actually not bothered about plates. I have my own plate that I keep on the car. Thanks for thumbs in spec. Only did about 100 versions before pushing the button. I don’t think I’ll evor track it so rear wheel steer wouldn’t benefit me enough of the time. I was tempted by the cruise control but I can’t justify the cost against the 2 times a year I might use it. If it worked at 2 mph in traffic I’d be tempted! For me it was a dilemma on wheels mainly. I like them all but felt most people would go for the RS ones so I’d be a bit different. My most frivolous spec was the Alcantara roof. Nice work, Sideways! The 992 is really growing on me and I think you've nailed a great spec there! The spec looks great and sensible,Alcantara roof was standard on the 991.2 and now it’s a £870 option?,don’t like the rear wipers but that’s me,we’re of to the OPC Sheffield tomorrow to spec an S up but it all depends on the offer I get for my 4S which was close on £120k when new including a £5k full clear PPF wrap,I seem to spec our cars up to well as the next owner gets the benefit. how does this spec compare to your 991.2 ? The 991 was my first 911 and I was a bit overawed by the whole car and also budget. I’ve had a couple to boxsters and a cayenne and it was a step up in price. I use the car most days so I like the comfort and the occasional A road blast. 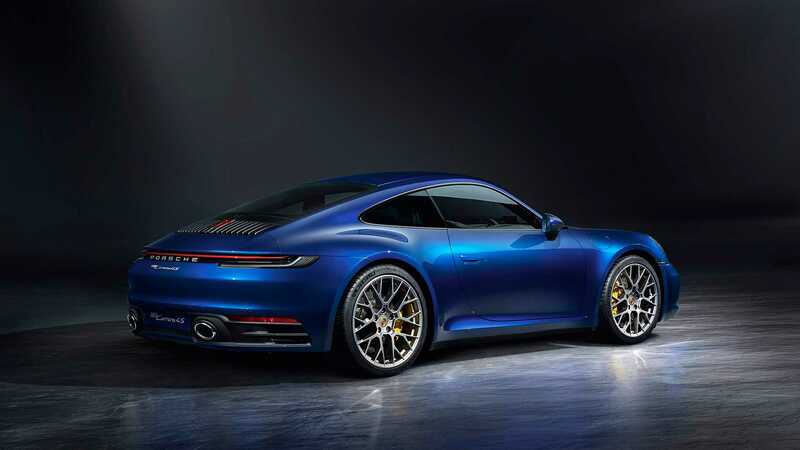 I feel like I’m now ordering the car I should have when I ordered the 991. If only I had been a bit braver I probably wouldn’t be buying a 992 as I still love my 991. Best car I’ve ever had. Steve, I nearly fell off my chair when I saw that the Alcantara was extra. It’s a bit daft to pay for it but looks and feels amazing. Lovely spec you've chosen there. I'm excited for you! May I ask what they hit you with on PX? Might be a little too much of a personal question, but would help me in making a decision as I also have a 991.2. PM me if you don't mind sharing and ignore me by all means if that is just too private! Apologies if it is. Can't wait to see your pick up photos! Lots of (enjoyable) waiting to do now! Well will have to stop going to Sheffield OPC it’s to tempting and expensive, put a deposit down on a 992 CS ,not sure whether I’m convinced it’s worth the extra spend over my 991.2 C4S ,will wait until I’ve seen one in the flesh before making a final decision. Looking to get my first Porsche and placed my deposit for the 911! Was told by dealer that im looking at around May/June. Does that sound right? Does anyone know what sort of allocation and how many will be delivered per month? I was told they will get 3 a month and from March to to May they will deliver around 9 and that im 10th on their list? Or is that just sales talk? If I had a 991.2 C4S i'm not sure i would be changing. I am a bit of a new tech wh@re so it's still possible i would have! I'm sure someone knows better than me, but it is probably mixtures of sales talk and truth. Guildford didn't have any hard and fast facts last week, so I would assume it is not too far from the truth. If you're giving them money i would assume they want you to get it to you as soon as possible to finalise the sale.